These students were not only forced to leave the University, they were also ordered to leave Cambridge, MA. Two of the students were allowed back (Gilkey & Lumbard), but the rest were not—one killed himself over the ordeal—Eugene R. Cummings. He was only 23-years-old and three weeks away from graduation. 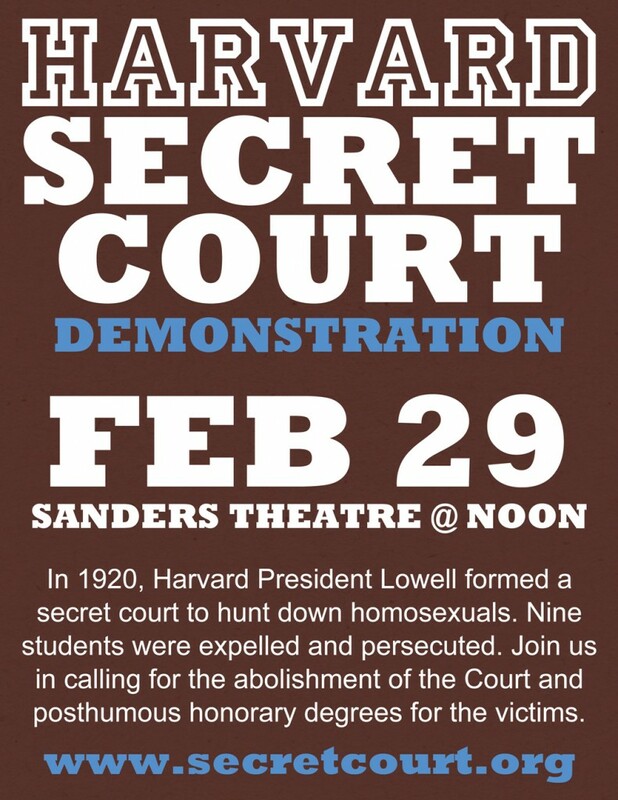 We are also disturbed to hear that Harvard pursued and persecuted these young men for over 30 years. Their Day in the Yard is a movement that was started in June 2010 by a student of Harvard University, who wanted to help the expelled students achieve the recognition that they deserve, before she graduated. Fellow students and supporters continue to join this worthy initiative. Together, we urge the University to grant the seven expelled students posthumous honorary degrees. These students have no justice until their records have been expunged and the Court’s decision is reversed. Until this is done, the Court and its work is still very much alive. Please sign the petition and invite your family, friends, colleagues and loved ones to join the movement.